This article is a short summary of Kirby & the Amazing Mirror. 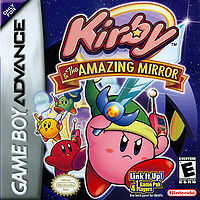 Kirby & the Amazing Mirror is a game in the Kirby series. This page was last edited on 15 October 2011, at 19:44.